MKV, i.e. the Matroska Multimedia Container, is an open standard free container format which holds unlimited number of video, audio, picture or subtitle tracks in one file. Unfortunately, the official Apple QuickTime player doesn't support .mkv file by default. As a solution, you can install some plug-ins to boost QuickTime's native file support for MKV file. 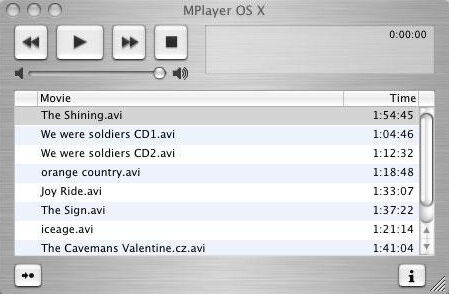 Here I'll share top 3 MKV players for Mac, with which you can easily playback MKV files on Mac OS X (Sierra included) without any trouble. Apple devices are not compatible with the MKV file inherently. To solve this incompatibility issue, you'd better convert MKV to Apple-friendly formats for broader purposes on Mac OS X (Mojave supported). 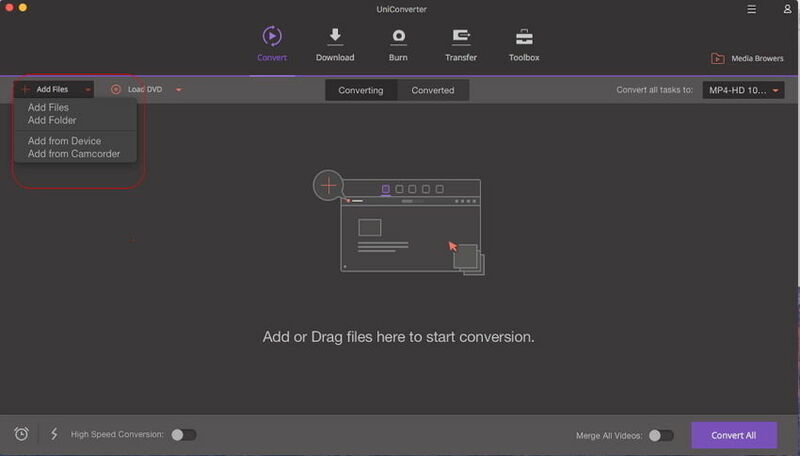 Then you can turn to Wondershare UniConverter for Mac (originally Wondershare Video Converter Ultimate for Mac), which quickly converts videos with no quality loss. Step 1 Directly drag-and-drop MKV files onto the program. Step 2 Choose an output format such as MP4, MOV or other preset device, like iPod, iPad, iPhone and iPad. Step 3 Click Convert button on the right of the interface. 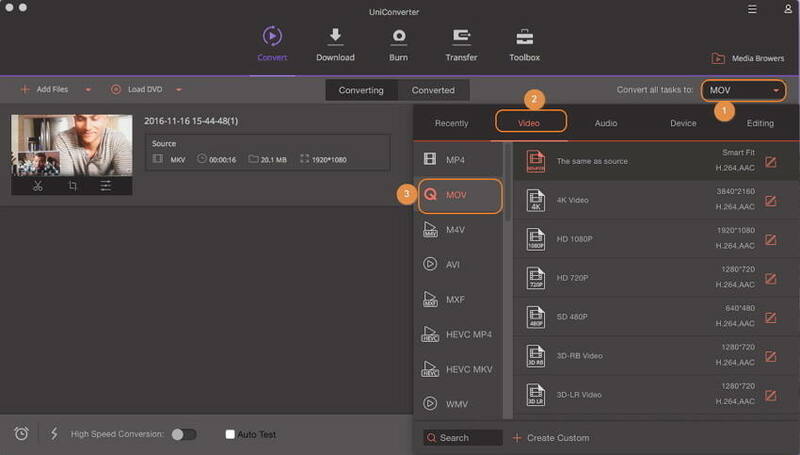 In short, with Wondershare UniConverter (originally Wondershare Video Converter Ultimate), you can easily convert MKV to MOV video file for editing in iMovie or Final Cut Pro. Or convert to MP4 for playback on your iPhone, iPad and other Apple devices. 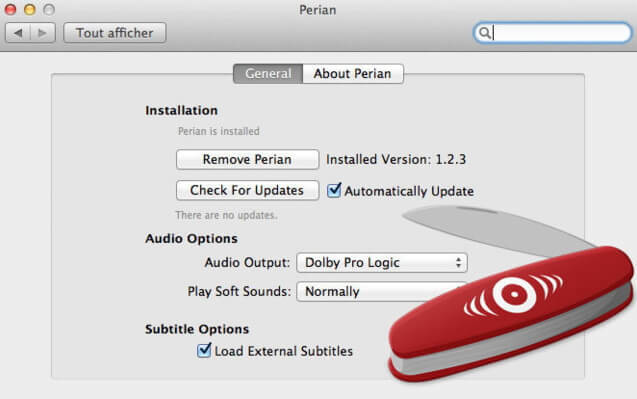 Perian is a free-source QuickTime addon, which lets QuickTime extend support a large number of file formats, such as MKV, AVI, DIVX, FLV, GVI, VP6, etc. So if you find your QuickTime player fail to play MKV files in Mac, you can install the plug-in to add extra support for playing MKV in QuickTime. However, some people find QuickTime Player 7 plays MKV files better without having to install any plug-ins. In fact, the earlier ones feature better support of older codecs when compared with the later version of QuickTime, So if you don't mind using older version, just use QuickTime Player 7 as your MKV player for Mac (mountain lion supported). You'll find it not a bad idea at all. Although MPlayer is not as popular as VLC, it is still one of the most widely used video players among the Mac users. It plays the MPEG, VOB, Matroska(MKV), ASF/WMA/WMV, VIVO, QT/MOV/MP4, AVI, Ogg/OGM, RealMedia, NUT, NuppelVideo and more. Download the MKV player for Mac OS X from the MPlayer site.